Every day, the great amorphous mass of consumers creates millions upon millions of trackable, quantifiable pieces of data. Every purchase at every store. Every click on every website, every bit of geotagged data, every installed or opened app and every interaction on social media. All of it adds up together into one giant Mount Everest of data to be sliced, diced, bought, sold, and traded. But there’s a break in it, and that break is hardware. What you do on your phone, what you do on your laptop at work, and what you do on your tablet or computer at home can be tricky to aggregate into one complete, whole consumer profile. Cross-platform stalking measurement is in many ways basically the holy grail of advertising and therefore of nearly all web and app businesses. Today, Facebook is the biggest player in the cross-platform space. If you have logged in to Facebook on multiple devices, they can use your profile as the unique identifier that ties all those different sets of behavior together into the shape of one specific consumer. But although Zuck’s big blue behemoth is winning the race right now, they are far from the only runner. Verizon has been working in the universal tracking space for years already. Just last month, the mobile giant finally allowed wireless customers to opt out of some of the more pernicious phone tracking. And that fancy synergy is also where the greatest risks lie for consumers and our already-waning privacy. The National Journal spoke with privacy and consumer advocates about the merger, and those advocates say through could be a lot of red flags waving. “Whether or not the combination of a major online advertiser with the largest mobile-services provider raises substantial antitrust concerns, it raises extremely substantial and urgent privacy concerns,” Harold Feld from consumer advocacy group Public Knowledge told the National Journal. And the concerns don’t just come from professional advocates. 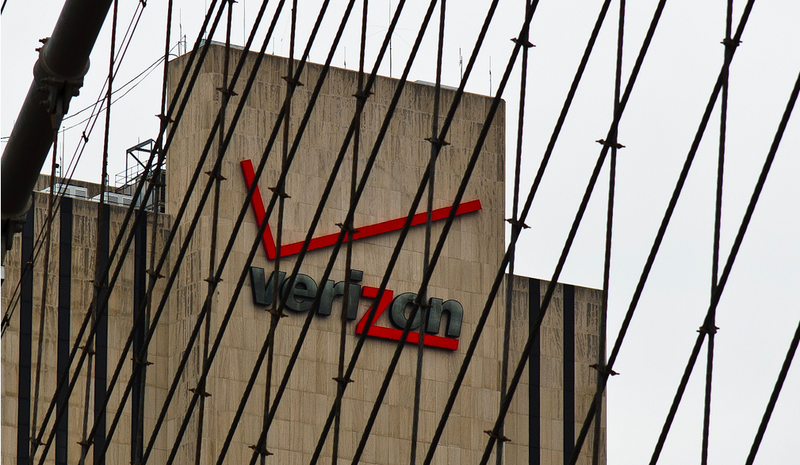 Jonathan Mayer, a researcher at Stanford, told the National Journal that, “Verizon appears to be tearing down the wall between telecommunications and personalized advertising.” He added that telecom companies are “in a privileged and trusted position” because of how much data (i.e. literally everything you do online) flows through their networks, and wondered if perhaps the FCC might have something to say about Verizon’s plans. The merger does have to be approved by regulators before it can take place, and privacy concerns may or may not be on the agenda of the agency that reviews the transaction. The FCC has to consider the public interest (which can include privacy) when it reviews mergers, but they aren’t a part of this one. This deal will be reviewed either by the Justice Department or the FTC. Those agencies are mandated with looking at competition, not consumer benefit. But if there’s one thing we know, it’s that there’s plenty of competition out there in the race for who can strip away more of your privacy and access more of your data.